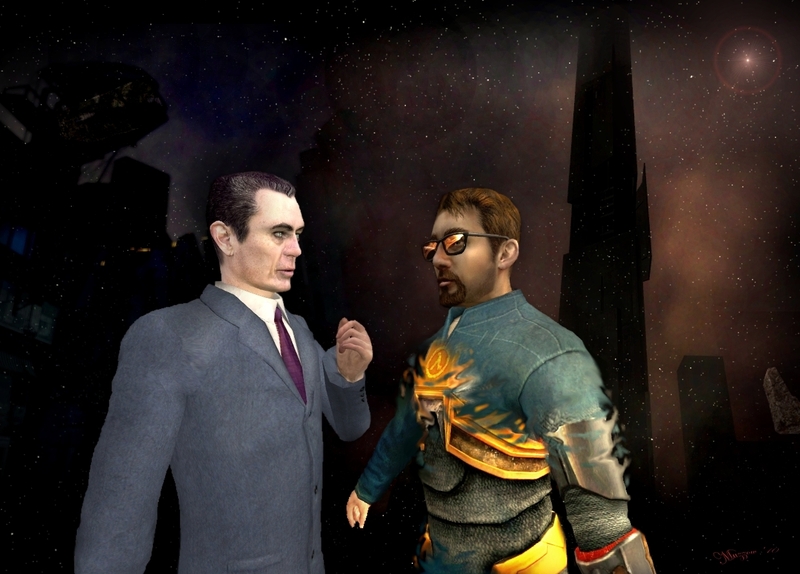 Wake up, Mr. Freeman. . HD Wallpaper and background images in the Half Life club tagged: half-life 2 gordon freeman g-man. This Half Life fan art contains business suit. There might also be suit, suit of clothes, well dressed person, suit, pants suit, pantsuit, and three piece suit.